Will fit any adult! 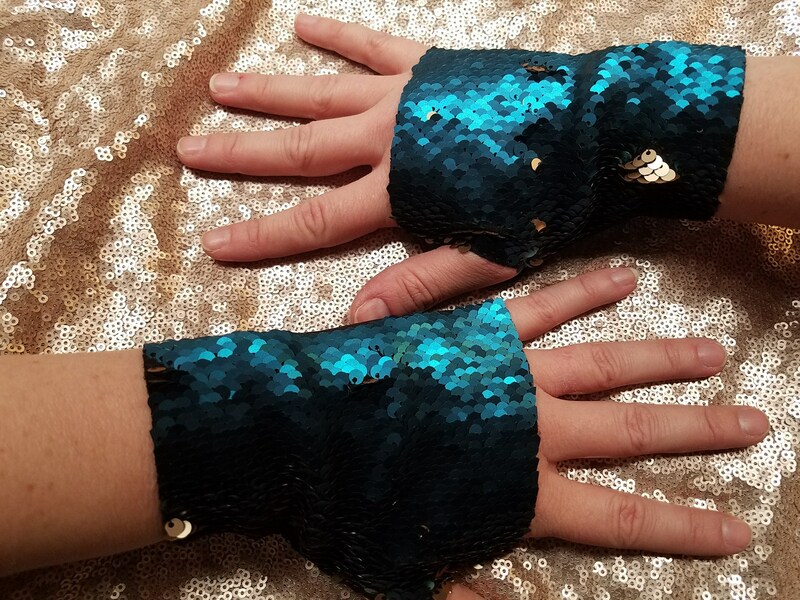 Fun flipping sequin fingerless gloves. A test to see how these do! 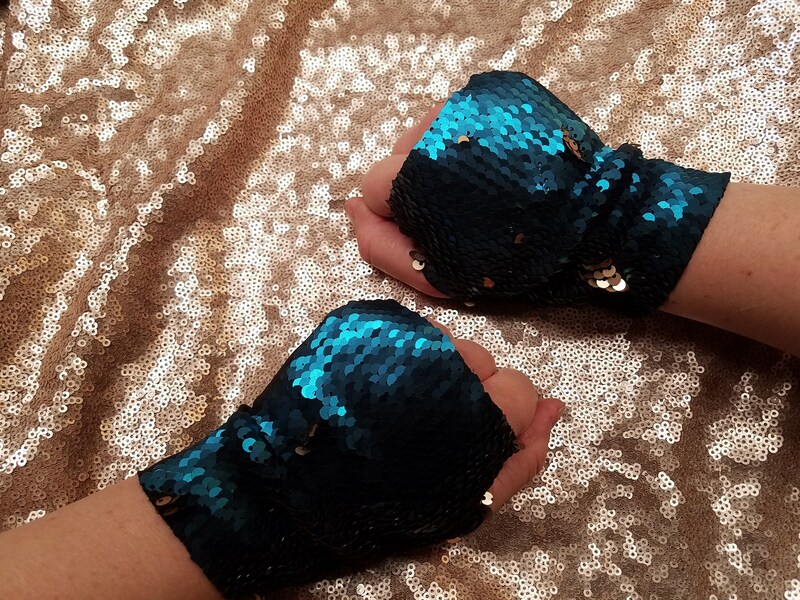 I have often been asked to make other things besides sequin skirts so I thought I'd give these a go. 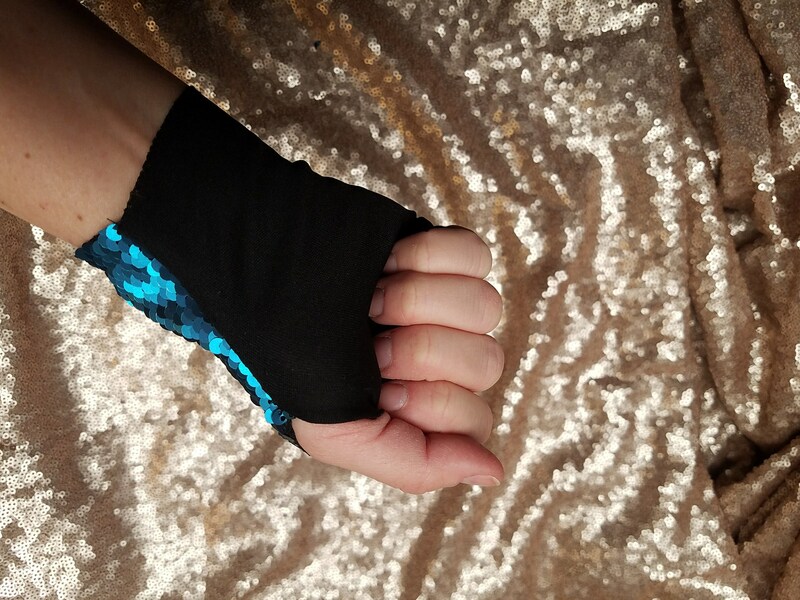 One size, will receive the gloves pictured. 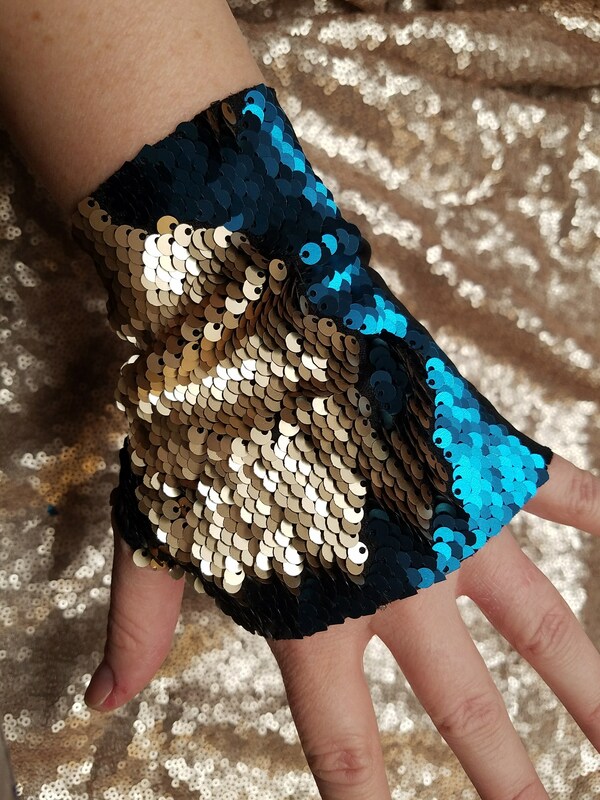 Edges are raw but they shouldnt fray or drop sequins. No returns on this one! Will ship right away from LA. 3 days in the mail. 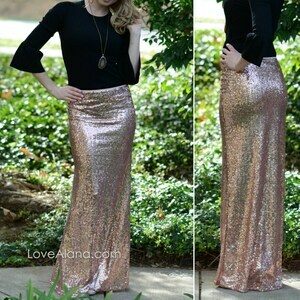 Matte Champagne Pencil Skirt - Oval Sequins - Stretchy beautiful knee length (S,M,L,XL) Made in LA! Ships asap!